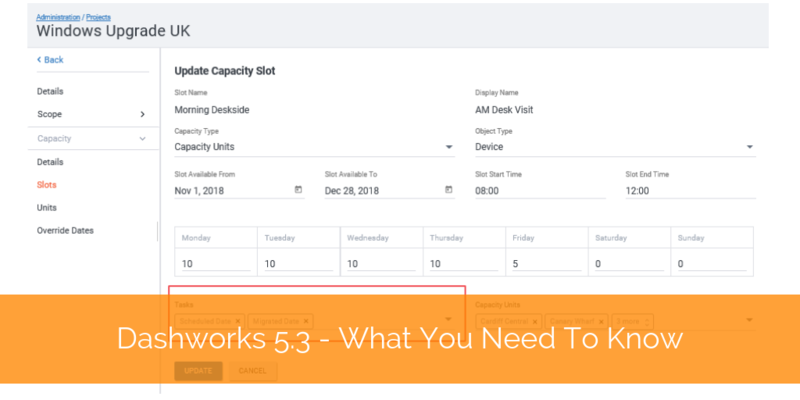 We are excited to introduce you to the latest version of Dashworks, 5.3! After an extensive set of customer feedback sessions, our development team has been focusing on improving the capacity/booking slot functionality for this release. Capacity is used to set limits on the number of deployments that can happen within a specific site, business unit or time of day. 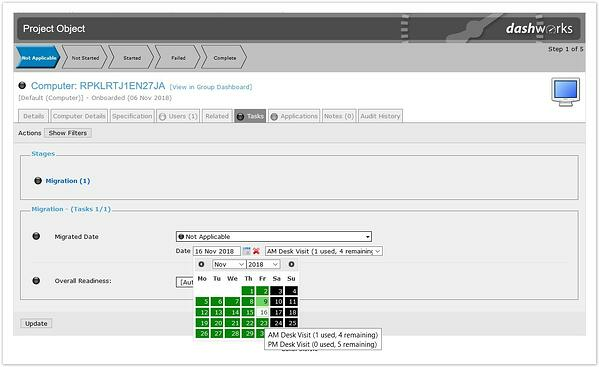 Previously, Dashworks could only manage capacity by day and type (e.g. wipe and load vs replacement), but with this new release, the system can manage slots at an even more detailed level. For example, you can now have a deployment unit called 'Site A - Finance' that runs from Date A to Date B, and has 20 AM capacity slots and 20 PM capacity slots with a blackout period for end of year dates. As always, it is thanks to the insightful feedback provided by our customers that has helped drive product innovation and make the drive towards IT transformation and Evergreen IT management a possibility with Juriba Dashworks! Simply put, capacity slots are a way of separating capacity available within a single day into different types or times. For example, you may allow users to choose between a Morning or Afternoon slot on any given day. Alternatively, you may use slots to offer a choice of different types of deployment to users, such as bringing their laptop to an upgrade clinic, or receiving a desk visit. Each slot has its own defined available capacity across a Monday to Sunday pattern. Additionally, capacity units are a new concept which allow you to group objects (devices, users, applications or mailboxes) together in an entirely flexible way in order to manage capacity for them. 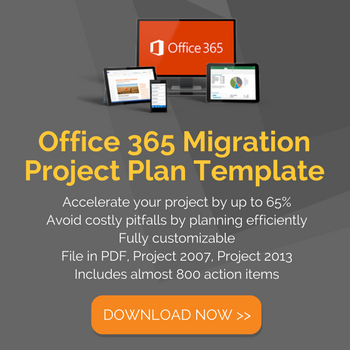 Previously, capacity could only be defined for combinations of Teams and Request Types. Currently, you can choose which slots to make available to which capacity units. Now that capacity can apply to application objects, this opens up workflow options for UAT testing and application deployment projects. For example, UAT sign off for business users may be limited by the number or pool of virtual machines (VMs) available for the application testing process to occur. Furthermore, access to the VM may be restricted to a specific time slot rather than a full day. Deployment of new and re-packaged applications onto new infrastructure may also be restricted by capacity available within the application management team, and this can now be reflected. The existing capacity definitions (including override dates) that tie to teams and request types will be retained through the upgrade process and users will still able to use this configuration in any existing or new projects should the simpler capacity to group inheritance be suitable. Dashworks version 5.3 is available immediately to our customers that have purchased an active product maintenance and support agreement, or who have purchased a subscription service. Please contact your professional services account manager to find out more. As always, we encourage customers who are already using Dashworks to upgrade to the latest version in order to benefit from recent enhancements and fixes. Keep in mind that Juriba also offers consulting services to IT professionals in the enterprise to help them get the most out of our Evergreen IT and IT migration management tool, so if you would prefer a 'managed' upgrade of your software, please let us know. Barry is a co-founder of Juriba, where he is focused on using his experience in IT migration to help drive product strategy, pre-sales and service delivery. 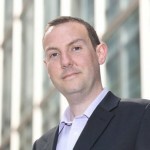 He is an experienced End User Services executive that has helped manage thousands of users, computers, applications and mailboxes to their next IT platform. He has saved millions of dollars for internal departments and customers alike through product, project, process and service delivery efficiency.